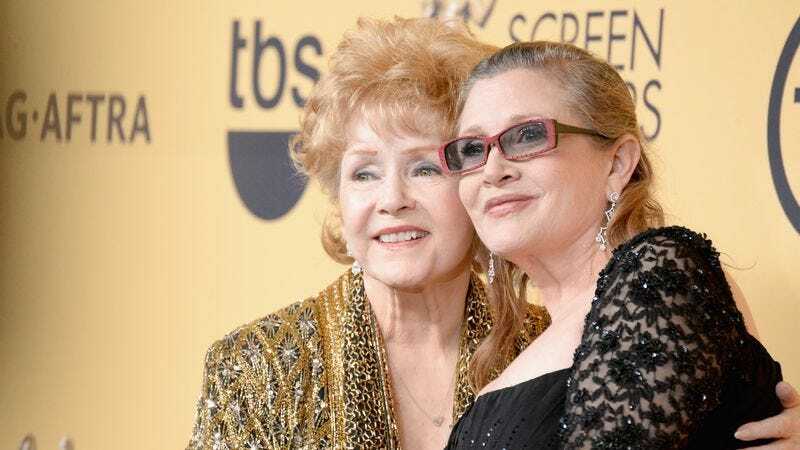 HBO has announced that it’s moving up the release date for its upcoming documentary Bright Lights: Starring Carrie Fisher And Debbie Reynolds, in the wake of the recent, sudden deaths of the movie’s two stars. The documentary—which chronicles the life that Fisher and Reynolds lived together for many years in their Beverly Hills compound—is set to air on January 9. Meanwhile, the network announced yesterday that it’ll be re-airing Fisher’s autobiographical special Wishful Drinking on Sunday night, one of several TV tributes planned for the mother-daughter pair. Logo has announced that it’ll be running a Will And Grace marathon—celebrating Reynolds’ stint as a recurring guest star on the long-running sitcom—that starts this evening, while TCM has programmed an entire day’s worth of the actress’ movies, including Singin’ In The Rain and The Unsinkable Molly Brown, on January 27.